Adult-Gerontolgy Nurse Practitioner Certification Exam Review & Advanced Practice Update is organized by Fitzgerald Health Education Associates (FHEA) and will be held from May 22 - 23, 2019 at Sheraton Ann Arbor Hotel, Ann Arbor, Michigan, United States of America. This CME Conference has been approved for a maximum of 32.10 Contact hours. Description: More than 110,000 NPs have prepared for certification and practice with the Fitzgerald Review—the best NP review & value on the market! COMPREHENSIVE—All formats include: • Preparation for both AANP and ANCC AGPCNP exams • More accredited contact hours than any other course • Expanded content meets the latest changes to the exam blueprints and domains • 150-question practice exam included with each course • Comprehensive 4-color printed reference/workbook with dozens of tables, included with all formats (Online, Live, MP3) • Extensive online resources • Final review of hundreds of course questions PLUS bonus questions • Hundreds of clinical high-resolution color images Additional details will be posted as soon as they are available. Family Nurse Practitioner Certification Exam Review and Advanced Practice Update is organized by Fitzgerald Health Education Associates (FHEA) and will be held from May 22 - 24, 2019 at Sheraton Ann Arbor Hotel, Ann Arbor, Michigan, United States of America. This CME Conference has been approved for a maximum of 35.50 Contact hours. Description: More than 110,000 NPs have prepared for certification and practice with the Fitzgerald Review—the best NP review & value on the market! COMPREHENSIVE—All formats include: • Preparation for both AANP and ANCC AGPCNP exams • More accredited contact hours than any other course • Expanded content meets the latest changes to the exam blueprints and domains • 150-question practice exam included with each course • Comprehensive 4-color printed reference/workbook with dozens of tables, included with all formats (Online, Live, MP3) • Extensive online resources • Final review of hundreds of course questions PLUS bonus questions • Hundreds of clinical high-resolution color images Additional details will be posted as soon as they are available. 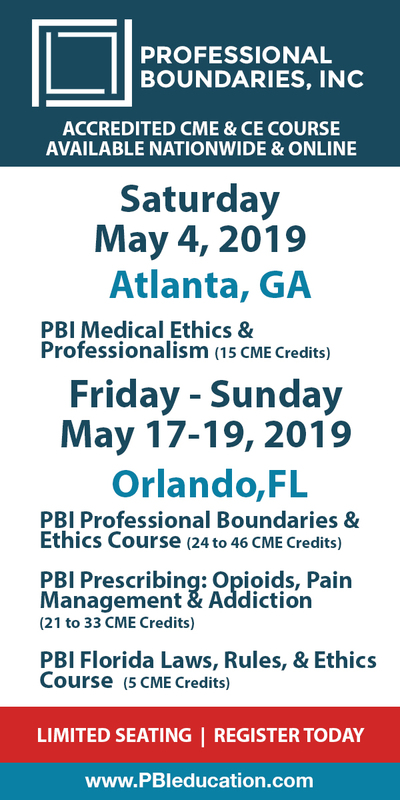 Trauma & Attachment: Effective Treatment Strategies for Helping Challenging Clients is organized by PESI HealthCare and will be held on May 30, 2019 at Wyndham Garden Ann Arbor, Ann Arbor, Michigan, United States of America. Target Audience • Social Workers • Counselors • Psychologists • Psychotherapists • Therapists • Marriage & Family Therapists • Case Managers • Addiction Counselors • Nurses • Other Mental Health Professionals Course Description: Join internationally-known attachment and trauma therapist, Terry Levy, Ph.D., in this cutting-edge seminar as he teaches you concepts and skills necessary to facilitate positive change with challenging clients with trauma and/or attachment wounds. You will learn effective assessment and therapeutic techniques for children, adults and couples, based on the latest research in neurobiology, trauma and attachment therapy, and resilience. Clinical videos will illustrate how various interventions promote change and healing with the following issues: • Beliefs and attitudes • Attachment security in children and adults • Traumatic emotions, behaviors, mindsets, and brain/biochemistry • Self-regulation • Communication and resilience • Family dynamics Through video case studies, presentation and discussion, you will leave this seminar with practical and effective techniques you can use to help clients achieve symptom reduction, fulfilling lives and meaningful relationships. Course Objectives are: • Determine the psychological, social, cognitive, and biological aspects of trauma and attachment disorders as it relates to clinical treatment. • Develop an assessment plan to effectively identify your client’s history of trauma and attachment wounds. • Provide techniques to improve your client’s emotional regulation skills, reframe core beliefs and improve interpersonal skills. • Utilize communication-based methods for conflict management and to promote secure attachment for your clients. • Develop strategies to help your clients achieve posttraumatic growth including the creation of positive personal and relationship goals. • Teach your clients, in-session, how to achieve secure and fulfilling relationships by facilitating attachment security. Additional details will be posted as soon as they are available. 91st Annual Spring Postgraduate Conference - Challenging Cornea Cases: An Evidence Based Approach is organized by University of Michigan Health System (UMHS) and will be held on Jun 01, 2019 at W.K. Kellogg Eye Center, Ann Arbor, Michigan, United States of America. This CME Conference has been approved for a maximum of 7.5 AMA PRA Category 1 Credits™ Target Audience : This activity is appropriate for: House Officers, Medical Students, Other Healthcare Professionals, Physicians, Technicians In the fields of: Ophthalmology Learning Objectives : At the end of this activity, participant should be able to: • New approaches to diagnosis and management of dry eye disease • Understanding of indications and outcomes of corneal surgical techniques • Supplemental treatments for ocular infections • Optimization of outcomes after cataract surgery Additional details will be posted as soon as they are available. NEC Symposium 2019: Breaking Down the Barriers of NEC Prevention and Treatment is organized by Necrotizing Enterocolitis (NEC) Society and will be held from Jun 02 - 05, 2019 at Michigan League, Ann Arbor, Michigan, United States of America. Target Auidence : This activity is designed for Physicians, Scientiste, nurse Partioners, Physician assitanta, nurses, Pharmacists, dietitians, lactation Consultants, health policy makers, nonprofit leaders, industry, and other diverse stakeholdars commited to driving patient-centred outcomes research, comparative effectiveness research, and improving the prevention and treatment of outcomes for infants at risk of necrotizing enterocolitis in fragile infants. Accreditation: Physician Credit : The University of Michigan designates this live activity for a amximum of 20.5 AMA PRA Category 1Credits™. Physicians should claim only the credit Commensurate with the extent of their participation in the activity AMA PRA Category 1 Credits™. acceptable for health care providers: NURSE: For the purpose of recetification, the American Nurses Credentialing Centre accepts AMA PRA Category 1Credits™ issued by organizations accreditation by the ACCME. Report a maximum of 20.5 hours of credit and fill in "CME Category 1" for the provider number Why You Should Attend : The NEC Symposium will convene multidisciplinary stakeholders to fundamantally improve the understanding, prevention, and treatment of NEC. it will support the development of quality improvement projects, novel reseasearch, and refines clinical guidelines. The Symposium will provide opportunitiesfor education, collaboration, and networking for junior and senior providers and investigators. Attendees will be actively engaged throughout the meeting and encouraged to share their diverse expertise and perspectives to help cultivate specific recommendations and standards. conent from the NEC symposium will be published in Pediatric Research Course Description : DDespite significant advances in Neonatal care, NEC remais a leading cause of death for neonates, with survivors frequentls facing lifelong health challenges. This conference will provide a rere opportunity to have a multidiciplinary conversation about improving NEC outcomes and driving patient- centered outcomes research. it will coneve some of the most committed NEC professionals and patient families from around the world. The Symposium will foster collabortion , develop new strategic lines of research, empower families, and refine protocals to help diagnose, prevent, and treat NEC. Course Objectives: • Summarize recent breakthroughs in NEC basic science research • Understand current disparities in the care of fragile infants and opportunities to overcome them • Summarize potential new treatments for NEC • Understand the need for a refined definition of NEC • Articulate emerging tools for NEC diagnosis • Explain the risks and benefits of probiotic use in fragile infants • Summarize strategies to increase the use of mothers own milk in the NICU • Describe international practice differences related to NEC • Identity methods to partner with and empower families in reducing the risks of NEC Course Highlights : • NEC. Recent Breakthroughs and promiing Directions • Disparities in the care of Fragile Infants and Opportunities to Overcomes Them • International Opportunities to improve NEC Practices and the patient-Family Experience • Risks and Benefits os Probiotic use in Fragile Infants • Evaluating Strategues to increase the use of Mothers Own Milk in the NICU • PromisingNovel Therapies for NEC in Preclinical and Clinical Trail • Opportunities for the Federal Government to Help Advance NEC Research • NEC Biorepository Additional details will be posted as soon as they are available. Borderline, Narcissistic, Antisocial and Histrionic Personality Disorders: Effective Treatments for Challenging Clients is organized by PESI HealthCare and will be held on Jun 20, 2019 at Holiday Inn Near the University of Michigan, Ann Arbor, Michigan, United States of America. Additional details will be posted as soon as they are available. Health Care Compliance Association (HCCA) Ann Arbor Regional Conference is organized by Health Care Compliance Association (HCCA) and will be held on Jun 21, 2019 at Ann Arbor, Michigan, United States of America. Conference Description : This Conference will provide a forum to interact with local compliance professionals, share information about your compliance successes and challenges, and create educational opportunities for compliance professionals to strengthen the industry. Additional details will be posted as soon as they are available. 54th Summer Session in Epidemiology is organized by University of Michigan Health System (UMHS) and will be held from Jul 07 - 26, 2019 at University of Michigan School of Public Health, Ann Arbor, Michigan, United States of America. This CME Conference has been approved for a maximum of 105 AMA PRA Category 1 Credits™ Target Audience : This activity is appropriate for: Physicians In the fields of: Critical Care Medicine, Emergency Medicine, Hematology/Oncology, Infectious Disease, Nephrology, Pathology, Radiation Oncology Course Description : The University of Michigan Summer Session in Epidemiology has been one of the most highly regarded summer epidemiology programs for more than 52 years. Taught by an international group of instructors, the curriculum is updated annually, focusing on principles, methods, and applications of epidemiology and biostatistics. The program can give you a career boost in just three intensive week Additional details will be posted as soon as they are available. Maintenance of Certification in Anesthesiology (MOCA) is organized by University of Michigan Department of Anesthesiology and will be held on Sep 14, 2019 at University of Michigan Medical Center, Ann Arbor, Michigan, United States of America. 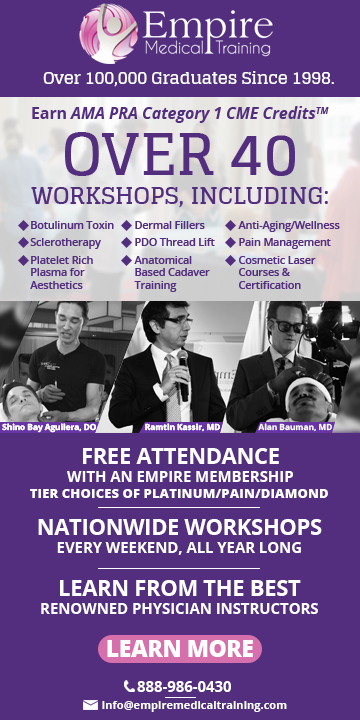 The target audience for this medical event is Anesthesiologists. This CME Conference has been approved for a maximum of 5 AMA PRA Category 1 Credit. Course Description: The Simulation Course will begin with an orientation to the simulator and simulation environment. Each participant will then have the opportunity to participate in a clinical scenario as the anesthesiologist, assistant to the anesthesiologist and observer. The ABA stipulates that the course at a minimum cover the relevant topics of significant peri-operative hypoxemia and significant peri-operative hypotension. The U of M course has been created in a manner that not only incorporates these basic events, but also challenges the participant with more complex clinical events and the challenges associated with perioperative teamwork and communication. Scenarios will be followed by an interactive and instructive debriefing. Specific courses for pediatric anesthesiologists are being offered twice each year. Course Objectives: • Demonstrate the management of significant hypoxemia from any cause, including the difficult airway. • Demonstrate the management of significant hemodynamic instability. Practice up-to-date techniques in a safe learning environment. • Reflect on optimal teamwork, leadership and communication skills required in crisis management. • Following the course, participants will implement the updated knowledge and skills in these areas that they learned from the course into their everyday practice. Additional details will be posted as soon as they are available. MSHO's OCN Review Course: LIVE SESSION ONLY is organized by Michigan Society of Hematology and Oncology (MSHO) and will be held on Oct 02, 2019 at University Of Michigan, Ann Arbor, Michigan, United States of America. Description: This course is ideal for nurses who are new to the oncology specialty, those re-entering the field who desire a refresher course or nurses transitioning into oncology nursing. Additional details will be posted as soon as they are available.